← Building Strong Teams – Arequipa Style! Of all my experiences so far as a member of the Symantec Service Corps, the cuisine has been my most delightful surprise. 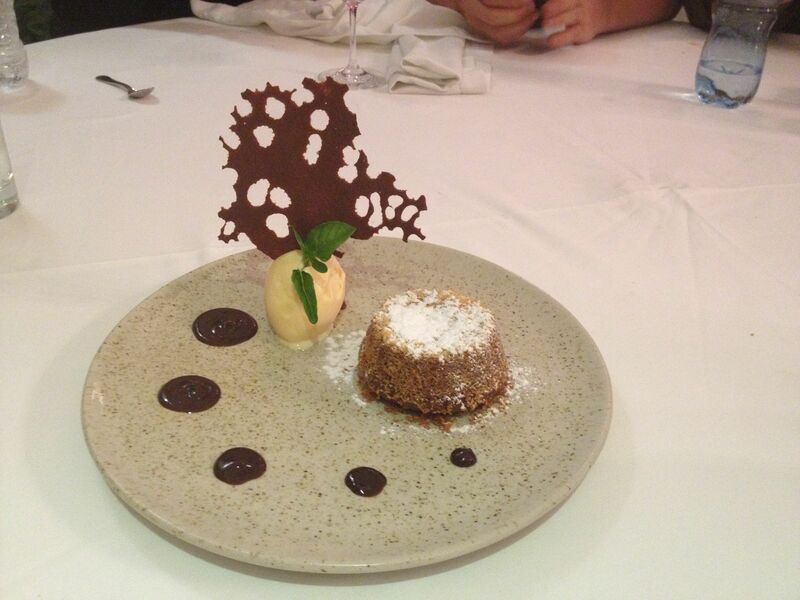 It’s just as Chef Zarate describes—an amazing fusion of deep, complex layers of taste coming from such simplicity. As a trained chef in classic French cuisine, I am often in awe of chefs who can make a dish so incredibly simple yet deeply complex in taste. In Peru, an entire country has accomplished that magic. The Symantec Service Corps has come together as a team quite quickly, and I would argue one big factor accelerating our “norming” is tasting, sharing, and enjoying Peruvian cuisine together. Before I left for Peru, I made myself a promise not to ask my colleagues if I could taste their food—anyone who has eaten with me accepts my obsession with food and allows me to taste anything on their plate. I was afraid if I leaned over and asked “May I just taste that?” that my new team might consider me a rude American. In our first meal together, I forgot my promise and asked if I could have a taste off someone else’s plate. My second delightful surprise is that no one thought me rude—in fact, several colleagues offered tastes from their dishes. Now, we taste each other’s food and share opinions of what we taste and guess at what’s deep within the dish. We are a team of foodies and I couldn’t be happier. 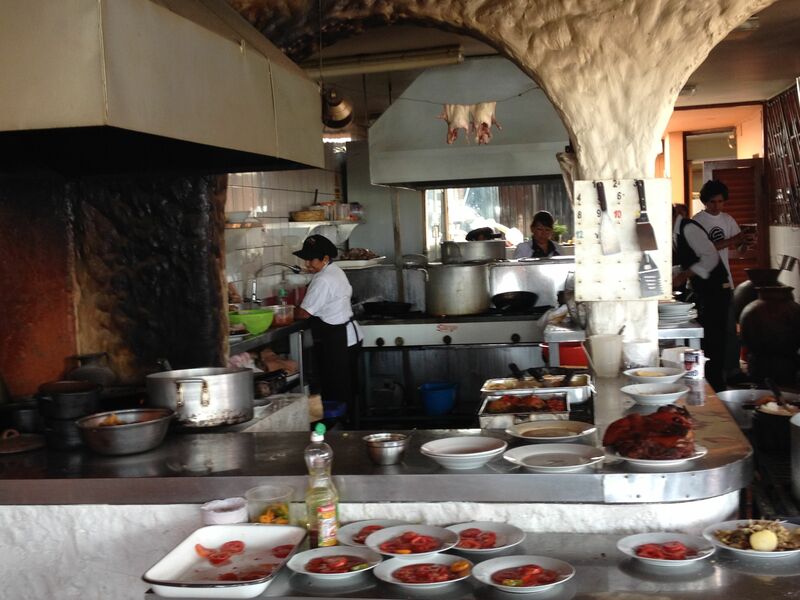 One reason Peruvian cuisine is so delicious is Peruvians use fresh, local ingredients. Potatoes are fundamental—and there are more than 3800 varieties of potatoes here. We are often served a meal with both rice and fries. Double the carbs. 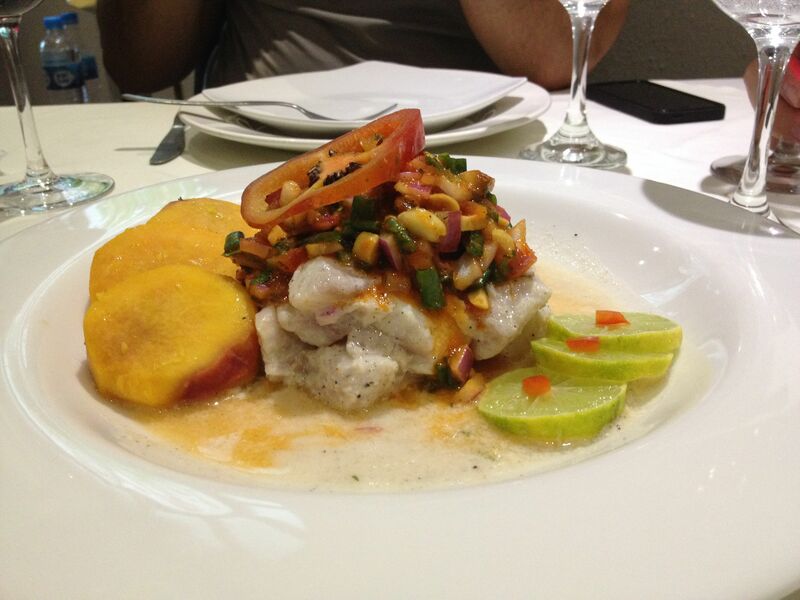 Peruvians are known for Ceviche—a classic fish dish where the fish is marinated in acid (typically lime) until the fish is cooked. Unlike Mexican ceviche, Peruvian ceviche has more liquid when it’s served. Ceviche has unlimited variety—change the fish, change the added ingredients, change the sauce. It’s unending goodness. 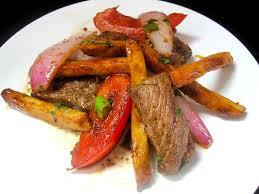 Influenced by Chinese, this is a type of stir-fry, typically beef with onions and Aji peppers (local to Peru). It’s served with rice and fries. 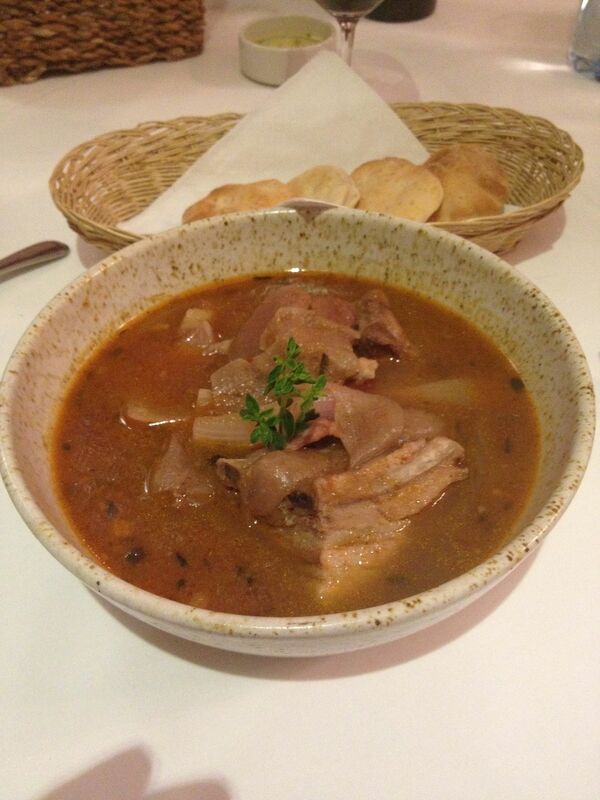 A local dish to Arequipa that is a type of pork soup or stew. The flavors are deep—spices like cumin and allspice add an earthy depth. It’s typically served with bread for soaking up the soup, and you’re given a bib so that you don’t splatter on yourself. (One tip: try making this dish is a slow-cooker to allow the flavors to deepen). vendors grilling and selling Anticucho. Those skewers, however, are often beef heart. While grilling meat on a skewer may not seem very unique, it’s the marinade that is applied that makes the meat incredibly tasty—a combination of vegetable oil, garlic, cumin, lemon juice, aji paste, red wine vinegar, dark beer, and oregano. The name “quinoa” comes from the Quechuan word “kinwa”. It originated in the Andes and could be as much as 7,000 years old. 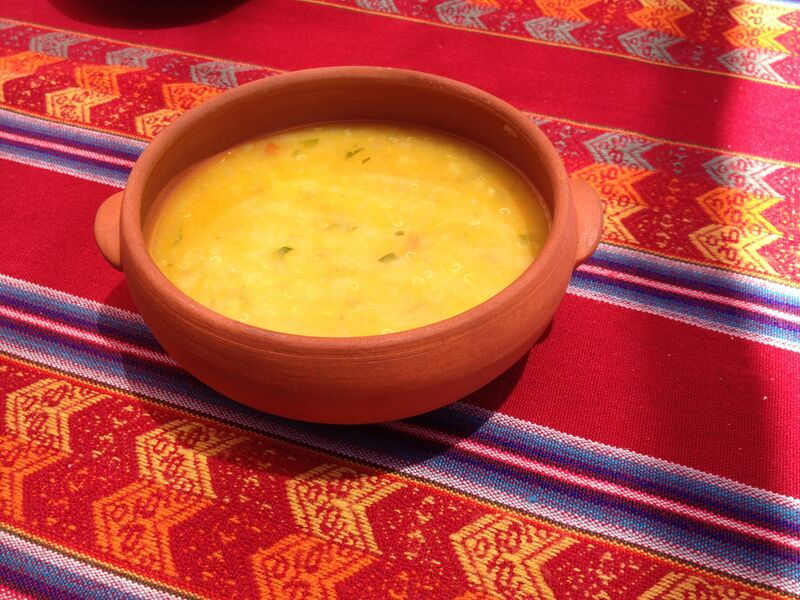 In Peru, quinoa appears in a lot of things: cereal, salads, and soups. It’s almost never served as just a grain, like a side of rice. It’s always combined with a rich set of flavors. 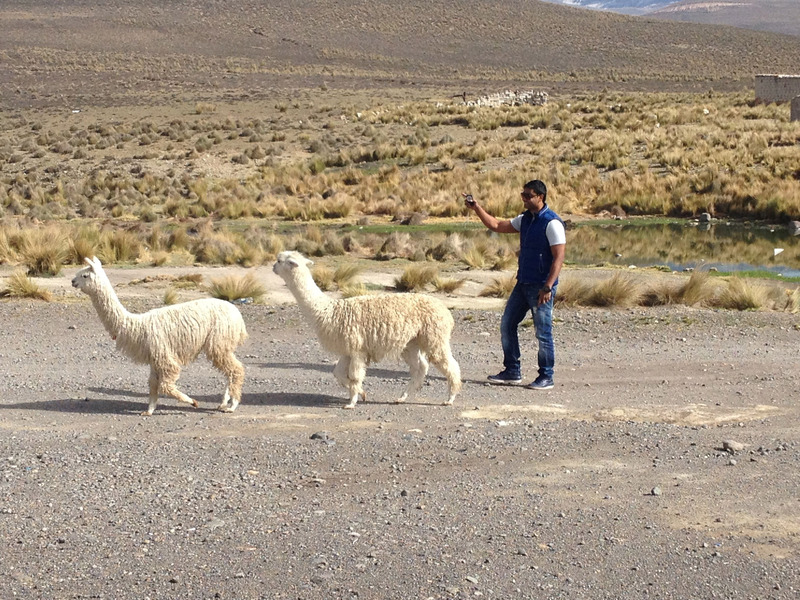 Alpaca is a type of llama whose wool is used for many Peruvian textiles. Alpaca typically live for 30 years but most don’t make it past 11 as that’s when their wool becomes less marketable so they are slaughtered for food. Alpaca meat is quite tender—almost no fat in it. It does not taste as strong as beef and is very tender. We’ve been calling it a “light beef”. breakfast. 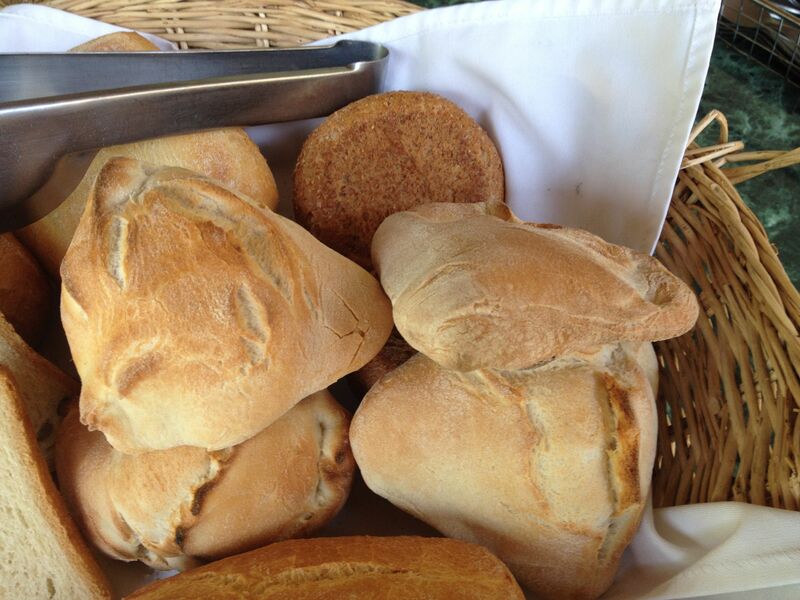 My favorite part of breakfast is the traditional Arequipa bread called “Pan de Tres Puntas” which is a specialty of Arequipa. It’s a triangular shaped bread with a crispy crust and it’s baked in a big wood burning clay oven. The shape is meant to represent El Misti, which is a volcano that overlooks Arequipa. of a French native importing duck to Peru and raising them in the Andes, I had to try it. The duck was perfectly cooked (although the Peruvians don’t seem to understand “medium rare”. In all cases we’ve had to explain, even with our colleague Alicia speaking fluent Spanish, that it’s not rare; it’s not medium; it’s somewhere in between. The waiters often kindly nod their head but it’s clear the idea is not exactly understood). My duck was served on a volcanic rock and came with ratatouille as a side dish. The best part, however, was the variety of sauces that came with the duck—a parsley-based pesto, spicy aji, herb mayonnaise, and butter mixed with olive tapenade. “Chicha” is a drink that has a lot of variations and is typically derived from corn. The Inca used chicha for rituals and consumed it in vast quantities during religious festivals. They say mills in which Chicha was produced were found at Machu Picchu. The term “Chicha” comes from Quechuan. Chicha Morada is made from purple corn and it’s typically sweet. Peruvians drink it like a soft drink. 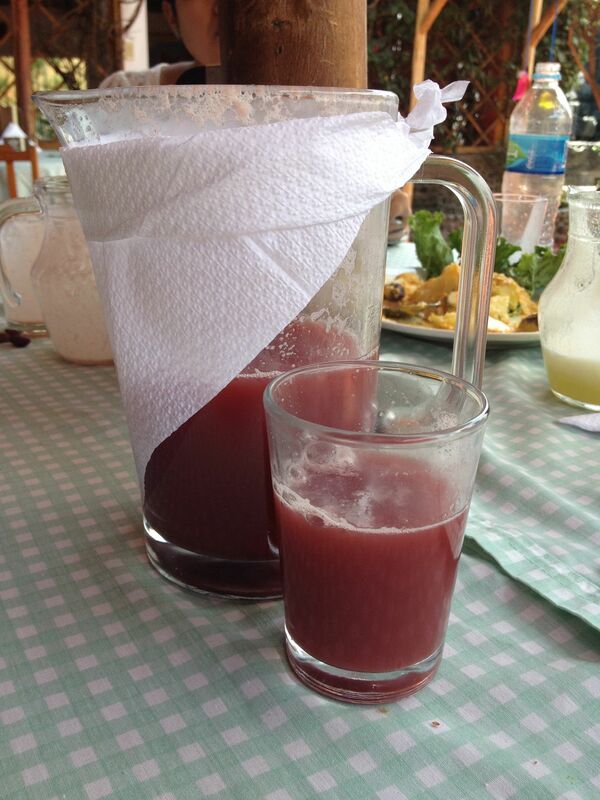 The Symantec Paz Peru team was first offered Chicha Morada in our first lunch with Paz Peru. We didn’t want to be rude but the thought of “corn juice” sounded unpleasant and the color was a deep purple, almost black. So we made our colleague Joe Ferrar try first. When his face lit up with surprise and delight, we all tried it. It’s amazingly delicious and refreshing. We haven’t stopped drinking it. interpreter Dylan. Amazing. 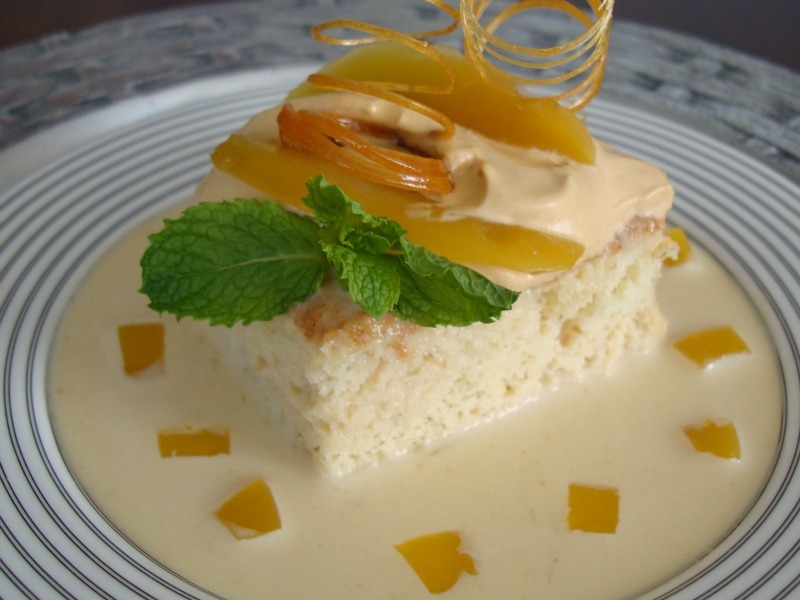 The best dessert I’ve tasted so far has been “pastel de tres leches”—a cake soaked in three types of milk (evaporated, condensed, and cream) with roasted coconut, surrounded by a creamy milk sauce. which is essentially Peru’s wine region. Intipalka is my favorite. Their reds are quite good, but I am not a fan of their chardonnay. 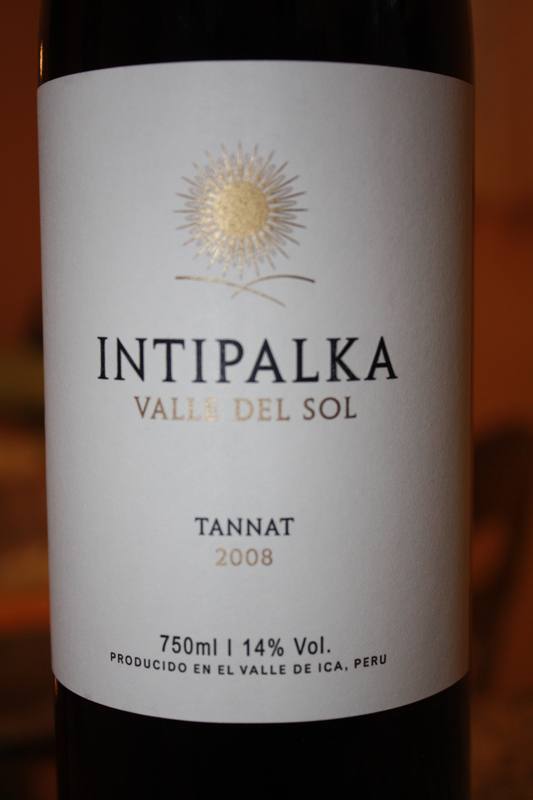 My favorite wine was one from Chile. The grape is a Carmenere, which was new to me. We tried two different wines made from the same “Carmenere” grape. Both bottles were phenomenal. I hope I can find it in the USA. Cuy is hanging over the kitchen, ready to be grilled. of the dish on the menu, and it had a complete guinea pig on the plate—little paws, head, ears…I’m not quite ready. We thought, as a team, we might order it for all of us to take one taste (except Alicia who is a vegetarian). If I have my SSC team behind me, I may be able to do it. In global cuisine, Peruvian food is considered the next big thing. 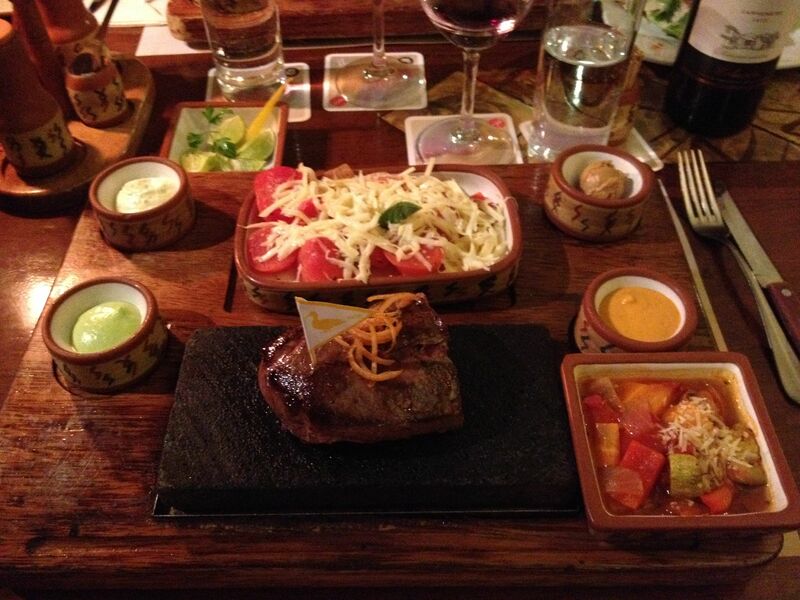 Forbes magazine referred to Peruvian food as the new “It” cuisine. Motivated to try it yourself? 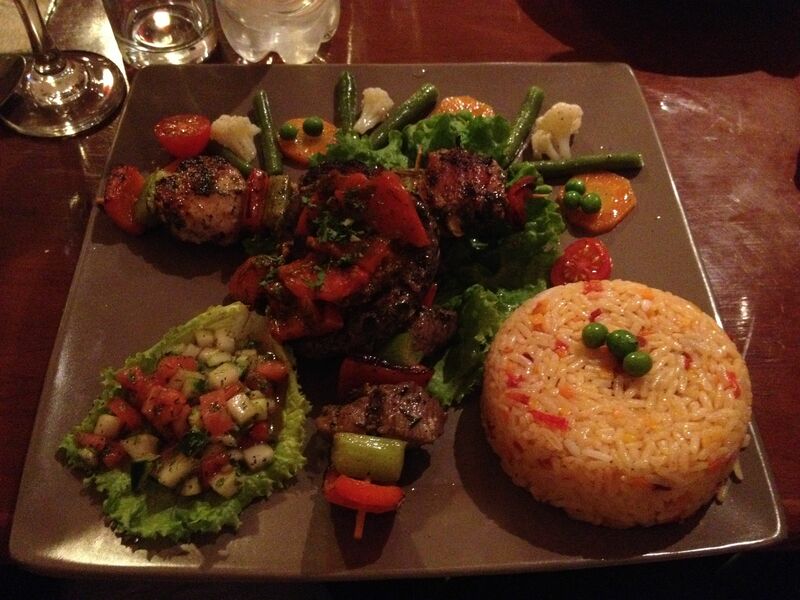 Here are a few restaurants that are getting rave reviews for their Peruvian cuisine. I have not tried any of these except for the La Mar Cebichería in San Francisco. It is phenomenal but expensive. It’s worth every penny, however. When you go, splurge—you’ll leave in a food coma that you’ll want to repeat again and again. This entry was posted in Uncategorized and tagged Adobo Arequipeño, Alpaca, Antichucha, Ceviche, Chicha Morada, chicha morado, Food in Peru, Loma Saltado, Pan de tres puntas, Peruvian cuisine, Peruvian food, Quinoa, Ricardo Zarate, Rocoto Relleno. Bookmark the permalink. 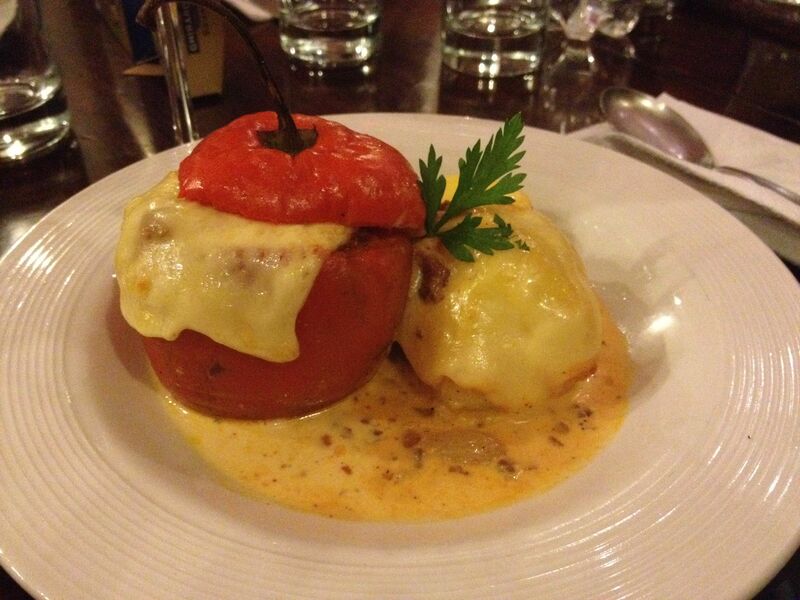 This foodie post looked amazing and made me hungry! Any “secret” recipes to share? No “secret” recipes, but I plan on checking out Peruvian cookbooks and bring one home to experiment with. Will share! Best food on the planet!!! 🙂 You could eat different dishes every day for a month and still only scratch the surface!